What places in Guimaras are most worthy of your time? I can’t choose for you but I can give you some ideas. Just promise me you’ll try to wake up as early as 7am and you will be at Guimaras-Iloilo Ferry Terminal before 8am. Deal? 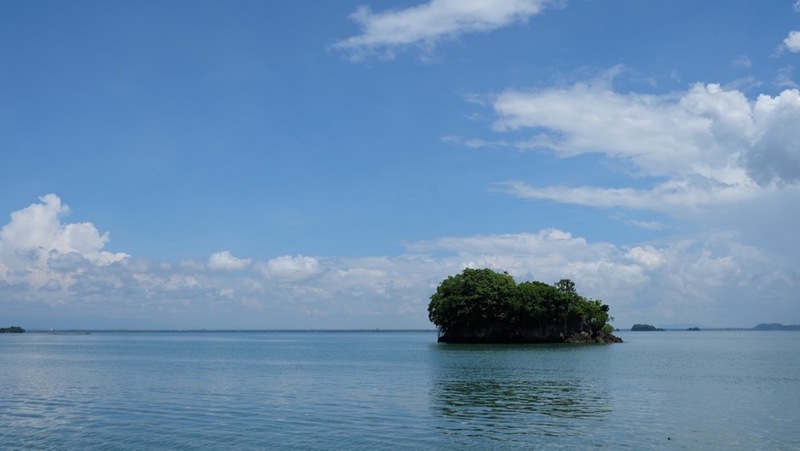 Now, in the spirit of crossing as many items off your Guimaras bucketlist, here’s a quick guide just for you. Our Guimaras trip was sort of DIY. The other travel bloggers were right: Guimaras could be explored by tricycle (just like Siquijor) — and just within a day. How to get to Guimaras from Iloilo? Travel by a huge boat for 15-20 minutes from Iloilo Ferry Terminal to Jordan, Guimaras. Ticket is only P15 per person. As soon as you arrive at the port, you’ll be entertained by the town’s official tour officers, who’ll fix you up with a tour guide/tricycle driver (the rate is P1,500 for a day tour). That’s how you know you won’t be getting a customized tour but a Guimaras Adventure decided for you by the locals who knew the island better than we do. For us, it was enough. 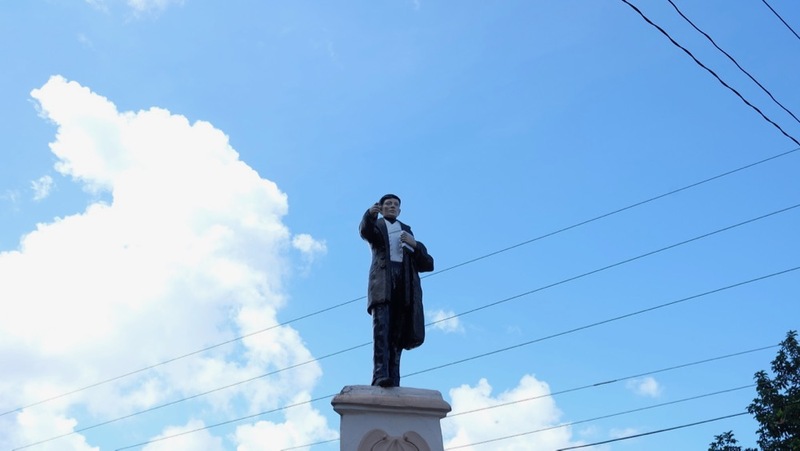 Pronounced [hor-dan] by the locals, Jordan serves as the capital of Guimaras province. One of the island’s busiest ports, Jordan Port was surprisingly peaceful. It was scenic, too, so spend some time to appreciate the seascape and landscape. Prepare your camera and snap some photos before setting out on a day tour. 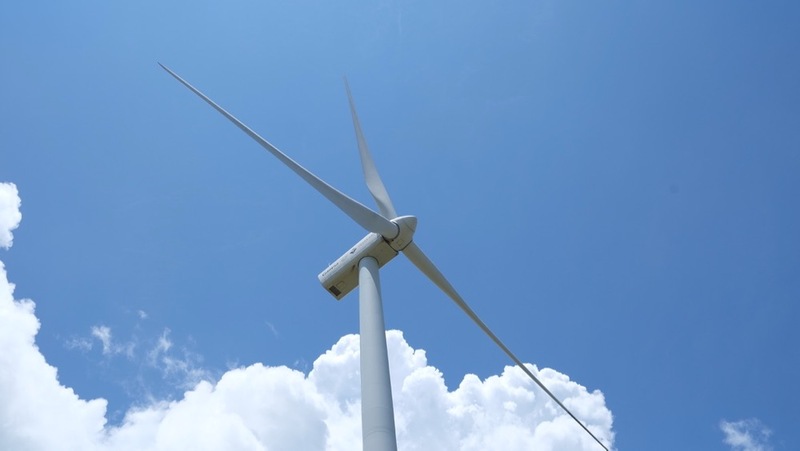 What’s the first windmill you’ve ever seen up close? Mine was in Guimaras. I couldn’t believe that I had to travel all the way to Western Visayas to actually see a collection of them. Stunningly white, tall, and gigantic, it was a real challenge to take a photo of them or with them. 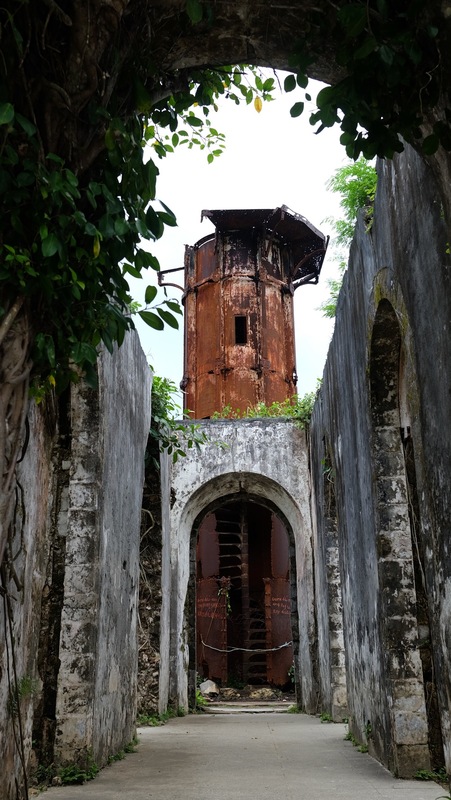 The oldest Catholic church in Guimaras has a well-preserved facade. Behind this seemingly well-maintained historic 1880 church is a structure made of modern materials. There is no entrance fee to the church yet donations are appreciated. I suggest you donate some money to support their restoration efforts. 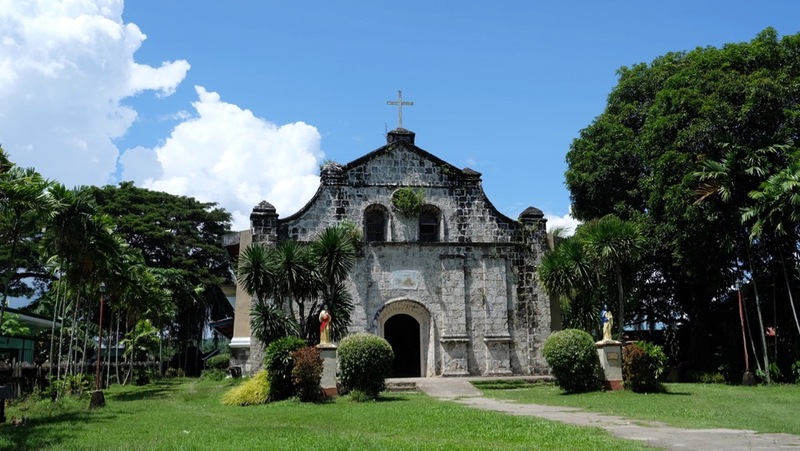 It’s the only heritage church in Guimaras so let’s hope it stays well-maintained. Even non-Catholic visitors would appreciate the beauty and serenity within and around the church. Stop for a photo op at a Guinness World Record holder for the Smallest Plaza. Your tour guide will know where to pull over at Jordan-Hoskyn Road. The plaza has a small stage and well-kept grounds that you can explore in less than 5 minutes. You can’t linger here as there isn’t much to see. 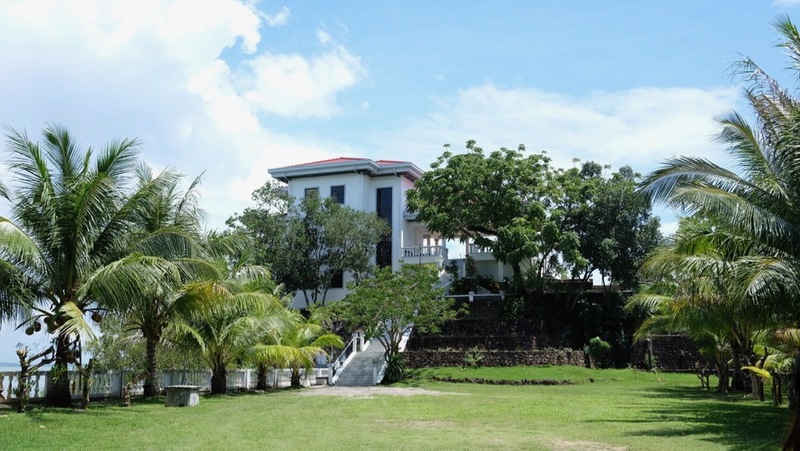 The Lopez Family (of ABS-CBN) owns Roca Encantada – a mansion that welcomes paying guests. Our guide said this house appeared in several TV shows and movies. You can’t enter the master bedroom but you’re allowed to roam the lawn and take tons of selfies outside the house. The sea view from the second floor was unbeatable. Some said the entrance fee (P50/person) was too much. But we thought it was just fine – you can stay as long as you like here. But there is no guarantee you’ll ever spot any of the Lopezes. Perhaps Roca Encantada was named after this big rock that sits across the mansion. Pretty quaint, ain’t it? Explore each corner of the house to find the best vantage point. My favorite was the part facing the sea. With this view daily, I wonder why the wealthy family would ever leave this residence, more so, share it with the rest of us. Jewel is a beach fan. I am, too. Sort of. Island trotters never say ‘no’ to the beach so when Jewel asked me for the third time, I gave in and tested the waters. A bit chilly because it was drizzling on the day we visited. Neil was content to watch from afar, not joining. 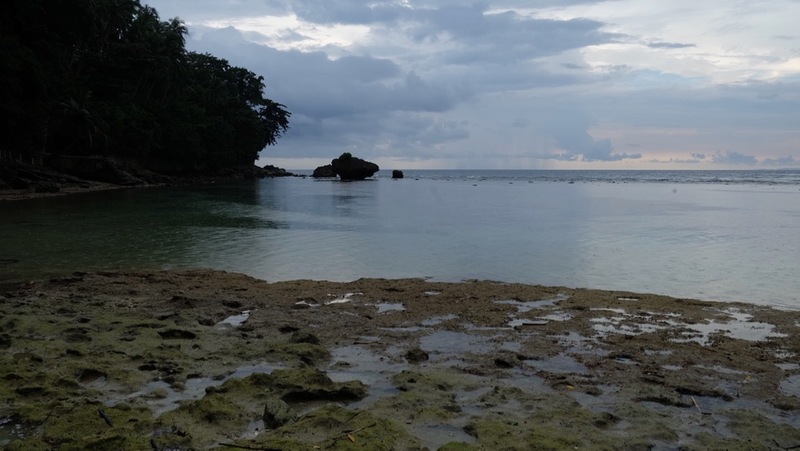 If you’re trying to pick between Alubihod Beach and Guisi Beach, choose Alubihod for its location, fine(r) sand and clean(er) beach. We didn’t have to choose because we went to both. 🙂 See if you can squeeze in both beaches in your schedule. Want to pick up some souvenirs or sweets before heading back to Iloilo? 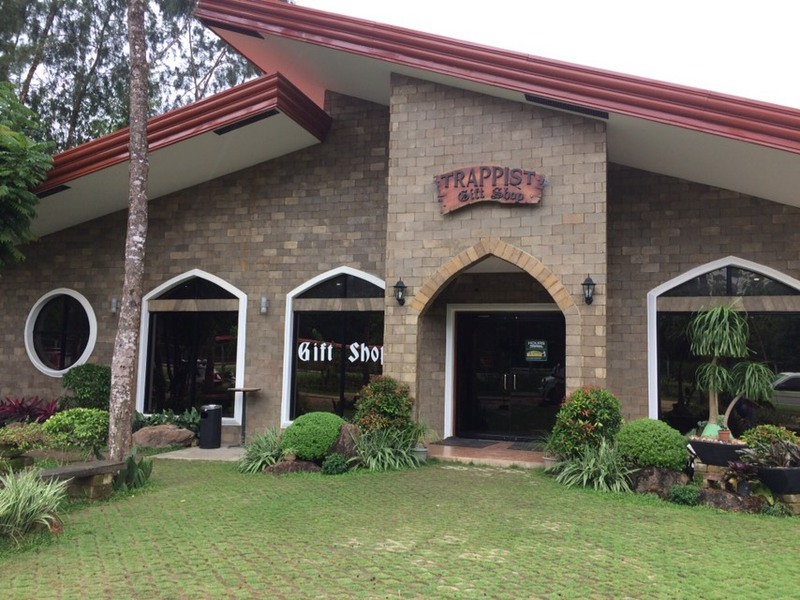 Stop by Trappist Gift Shop. Other visitors checked the Trappist Monastery, where you could write a prayer. I wasn’t wearing a proper attire so I didn’t dare visit the monks. 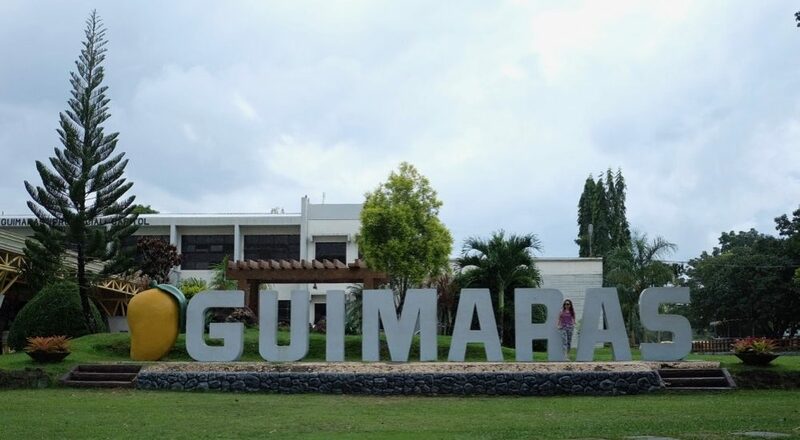 You’ve heard many times that Guimaras is the Mango Capital of the Philippines. When you visit in September, you won’t find as many fruits as you’d hope. Well, we didn’t see even one. But the plantation makes an awesome backdrop for photoshoot. Our guide said it was a famous site for a film – I forgot what it was, though. 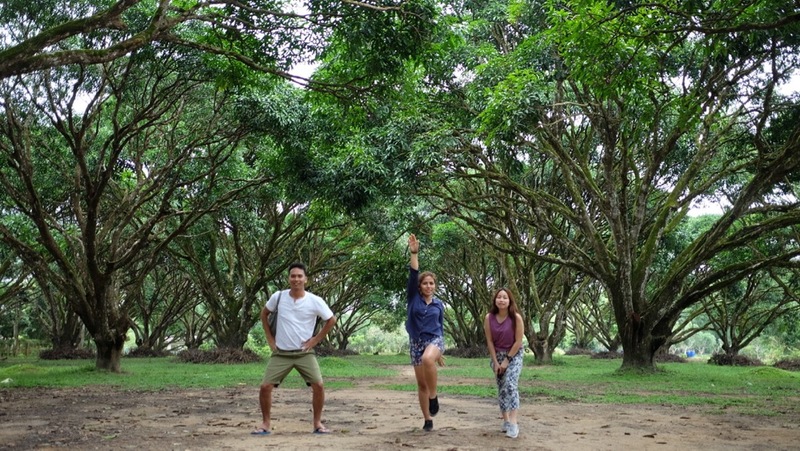 Before I took up a full-time sales and marketing job at a Japanese firm, I had a chance to explore Guimaras for a day with my yearly travel mates. A quick back story to give you context: Jewel, Rob, Neil and I had a tacit promise that we’d set aside a few days (a weekend, usually) to travel somewhere we’ve never been to. This year, we chose Iloilo – Rob’s hometown. But by some cosmic misalignment, he wasn’t able to join us. It was a bit sad yet we took it well. We did what most good friends would do: we kept sending him fun trip updates! Why, you can’t blame us. 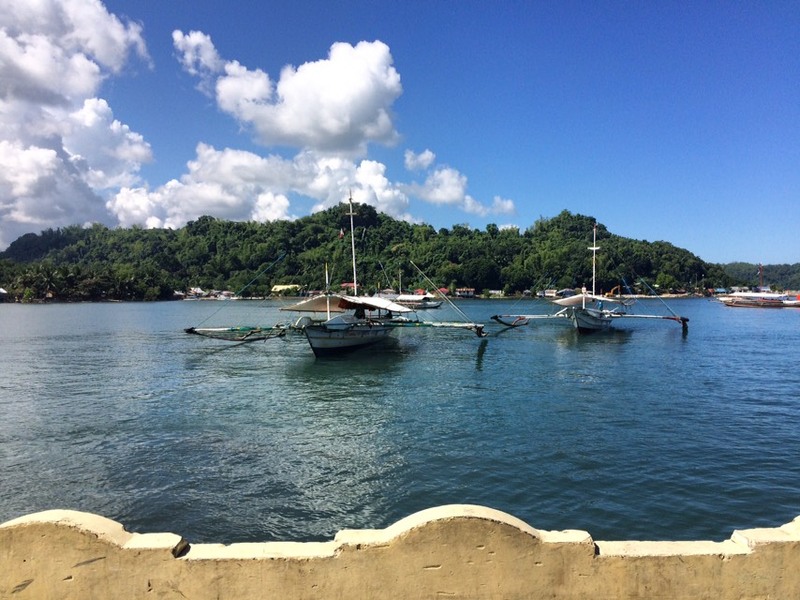 Our Guimaras and Iloilo trips were so enjoyable we couldn’t shut up about them!